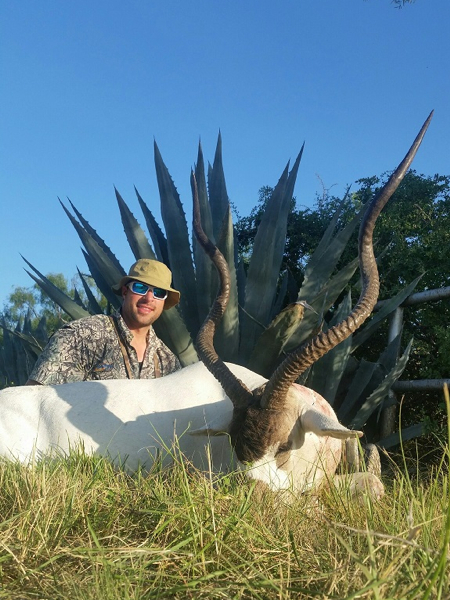 One of my ranchers has some monster Scimitar Oryx that he wants to move. 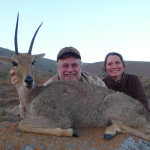 These animals are in prime condition and since they are in Texas you can take the venison home with you. Hunt is 3 days long, meals. 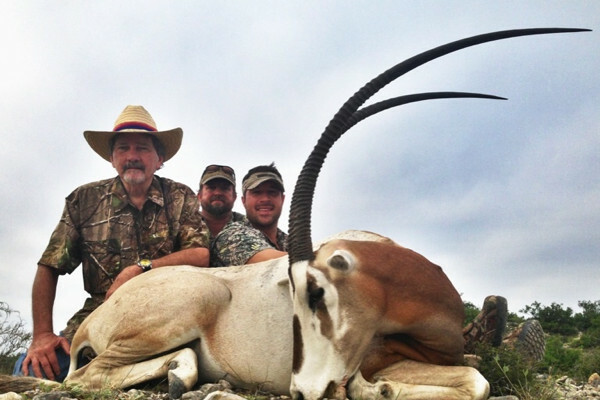 lodge, guide and trophy fee included $6,000 all in for the hunt. 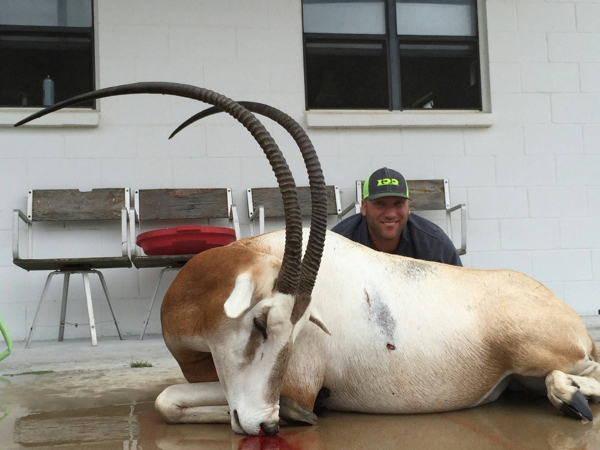 He has Gemsbok and Addax on the ranch for an additional trophy fee. The ranch is located near Uvalde, Texas and is 2,500 acres, he is averaging over 40″ on his Scimitar. Let me know if you are interested these are great summer hunts. 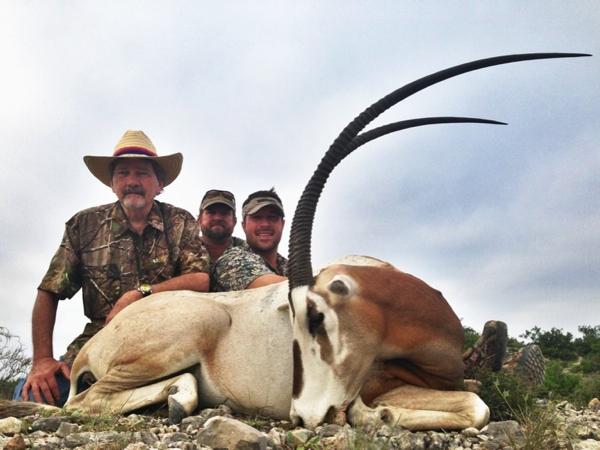 Please email me for more details on this Scimitar Oryx hunt Texas.